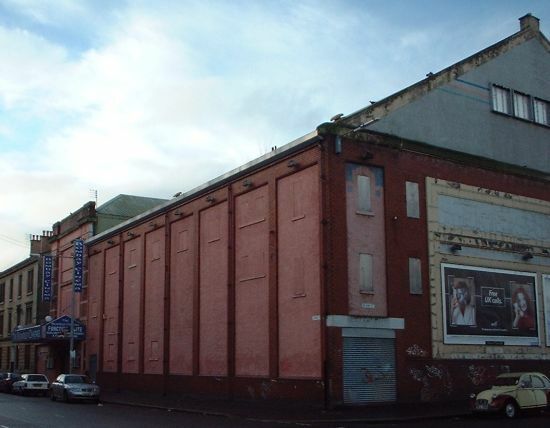 This has been prompted by my discovery today of the impending demolition of yet another old cinema in Glasgow - this time, the Bombay in Lorne St. The council has just passed an outline planning application to demolish & replace with housing. The building is not listed. 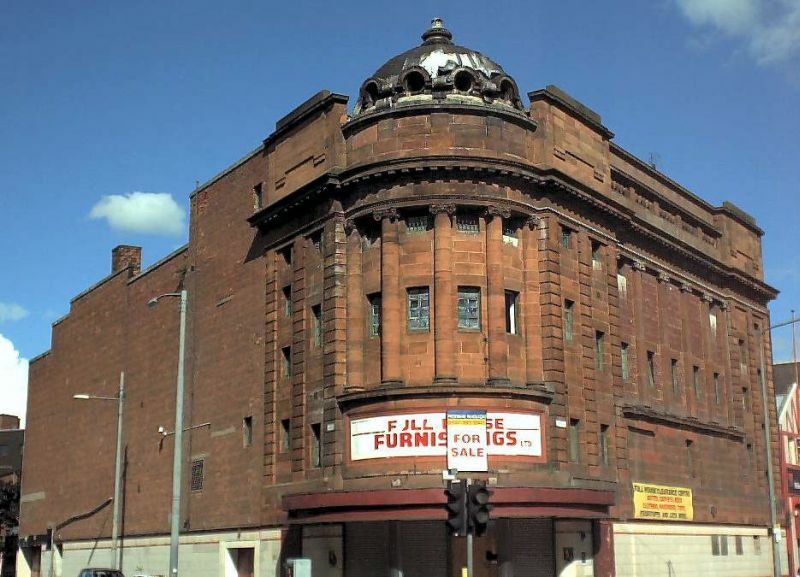 The Olympia, Bridgeton (B-listed; application granted for conversion into flats incorporating partial retained facade). 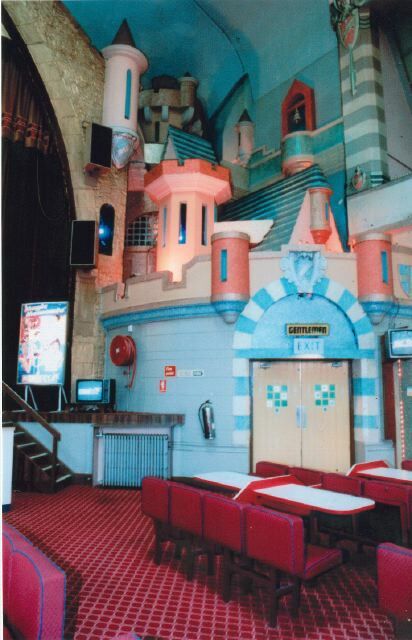 The Orient - was that not the one with the unusual interior? Model castle or something? Or have I mixed it up with another? If it's this one, let's get inside as soon as! No idea if anything of that is left however after a decade of vandalism & a bit of a fire. Might even be worth having a chat with security. They might just let us in for a wee poke aboot! part of the old samaritans hospital off victoria road is being knocked down at the moment,the rest of it was turned into flats recently. the stone plaque thing on the building says it was built in 1931 i think. Nodrog, what are the status of these buildings accessibility-wise ? I think Nodrog might be down south for a few days this week. Nodrog and I attempted another visit a few weeks ago, but unfortunately, there's some work going on on adjacent tenements, and therefore a 24 hour security guard is posted in a wee hut round the back. The interior is in a right old state, far worse than the Olympia. A bit late for this one - and slightly out with Glasgow. 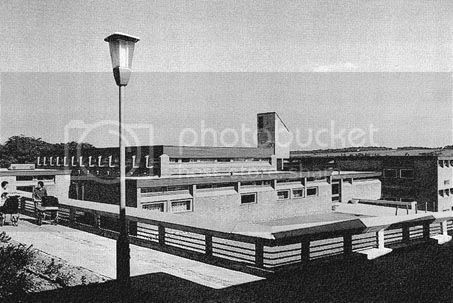 Kildrum Primary School - Gillespie Kidd & Coia 1962. Category B Listed. There was an application by the council to knock it down March last year. (Part of a wider scheme to re-house people in Ainslie Road and Maclehose Road, which apparently have inherent structural defects). The only the adjacent nursery was to be retained. Rather conveniently the nursery survived unscathed. 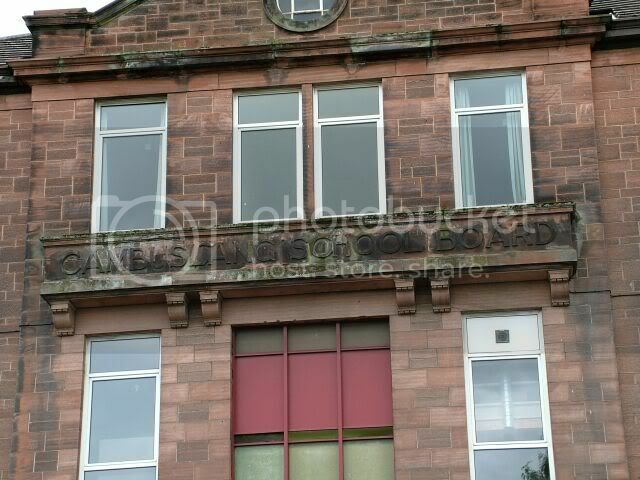 Curiously - The school still appears on Pastmap as a listed building. ... they’re all made out of ticky tacky, and they all look just the same. Location: The Land of Shaws. Should this thread be reserved for buildings that are in danger due to neglect, or can we post structures where demolition is imminent through normal channels, but is perhaps not widely known about? This is Gateside Public School, started in 1913 but requisitioned for use as a military hospital at the outbreak of WWI. The railway line between Kirkhill and Newton ran nearby and had a special halt built to serve the hospital. Architect was John Fairweather, who designed a number of public and commercial buildings in the first 40 years or so of the last century, including Townhead Library and the Commercial Bank of Scotland with the grey stone cladding and clock tower that's currently rotting away in Gallowgate, opposite the old Meat Market. 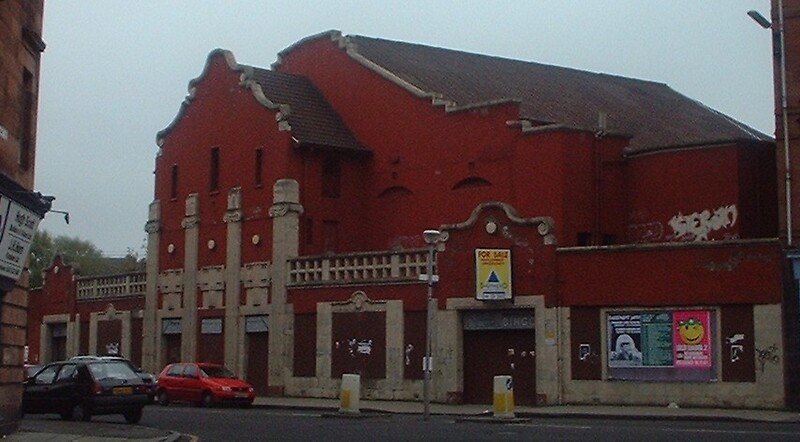 He later specialised in cinemas, including the Capitol/Bombay recently demolished in Kinning Park, the Cambuslang Savoy just along the road from Gateside School, and most of the giant Green's Playhouses across Scotland. 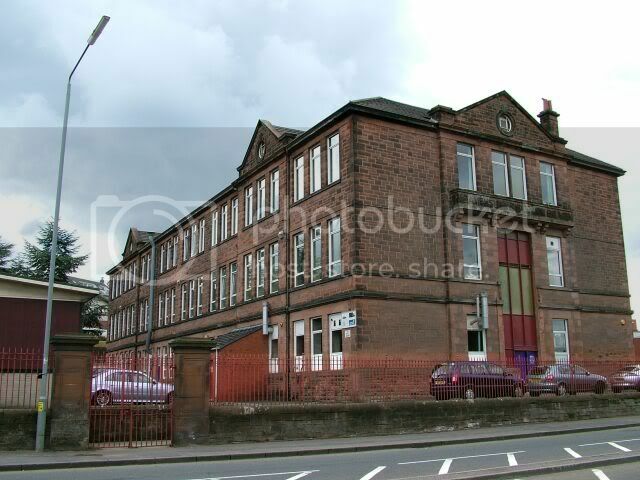 The school itself finally opened for education in 1920, with a fairly hideous extension opening in 1963. In 1970, it became St Brides and then Trinity High, both Catholic secondaries, until Trinity finally moved out in 1986. 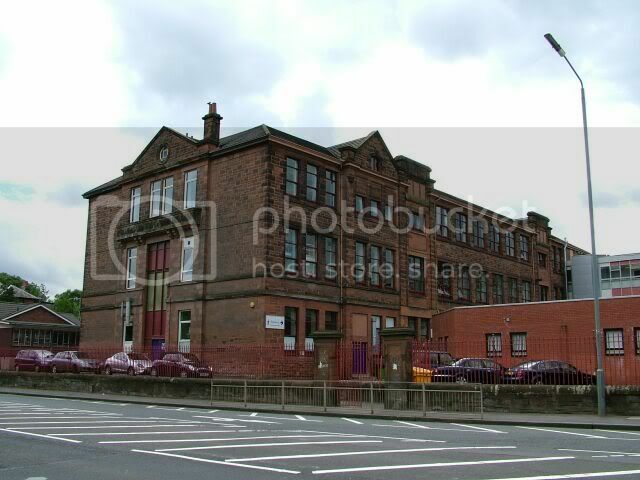 It then became Cambuslang College, with a fairly large brick extension taking up most of the former playground in 1992, and finally becoming redundant as a campus of South Lanarkshire College when they decided to move to a purpose-built single campus elsewhere. South Lanarkshire Council passed planning permission for complete demolition this year, allowing flats to be built on the site. Which is a shame, as it looks to me like a sturdy, solid bit of a building, easily convertible to flats with a bit of imagination - plenty of windows and favoured high ceilings, and if they really want modern flats, then the space taken up by the later extensions could be used to supplement the conversion of the main building. 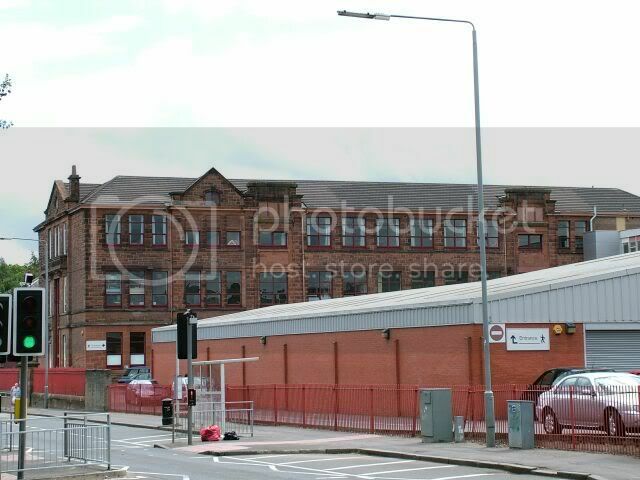 Just seems such a waste.... We've already lost a similar building in Cambuslang recently with the demolition of Eastfield Resource Centre, formerly the 1898 Eastfield Public School.